The Rose Gallery’s first exhibition of the year is brought to us from San Diego City College students. The display showcases a variety of media, sizes, subject matter, and methods of presentation. 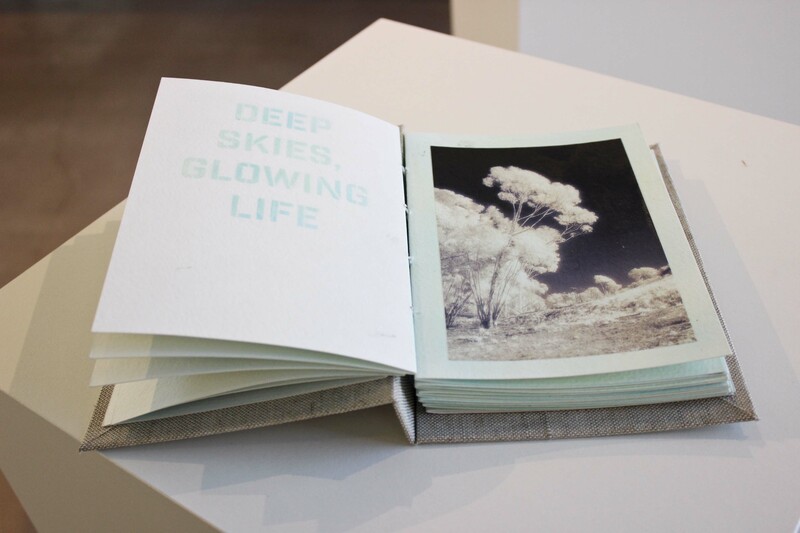 The artwork ranges from darkroom silver gelatin prints to high quality digital photographs, collages made with toy cameras, handmade books, cyanotypes, and more. The photography is technically impressive and thoughtful and we are excited to host this collection of artwork. As our gallery is primarily an educational resource, included are a few introductions to help guide community members in their viewing experiences. One piece, “Repercussions of a Social Construct I,” by Hailey Quinto uses multiple exposures in the darkroom to superimpose a thicket of tree branches onto the back of a figure. The elements in the photo suggest imprints of time, perhaps even scars, interwoven with the body. Another silver gelatin print, “Solitude,” by Yaiza Solana depicts a figure kneeling in a seemingly empty room, surrounded by contrasting textures, a heavy empty wall, a intricately patterned rug. The light coming in from the sliver of a window the artist included in the framing illuminates the folds wrapping his/her head, but leaves much of the rest of the photograph in the shadows. A Van Dyke print from the Ocean Beach wall shows the way that emulsion may be painted onto a surface to receive visual information using contact printing and light. A series of platinum palladium prints by Adrian Torkington made with a pinhole camera suggest a long history within their fuzzy whimsy. 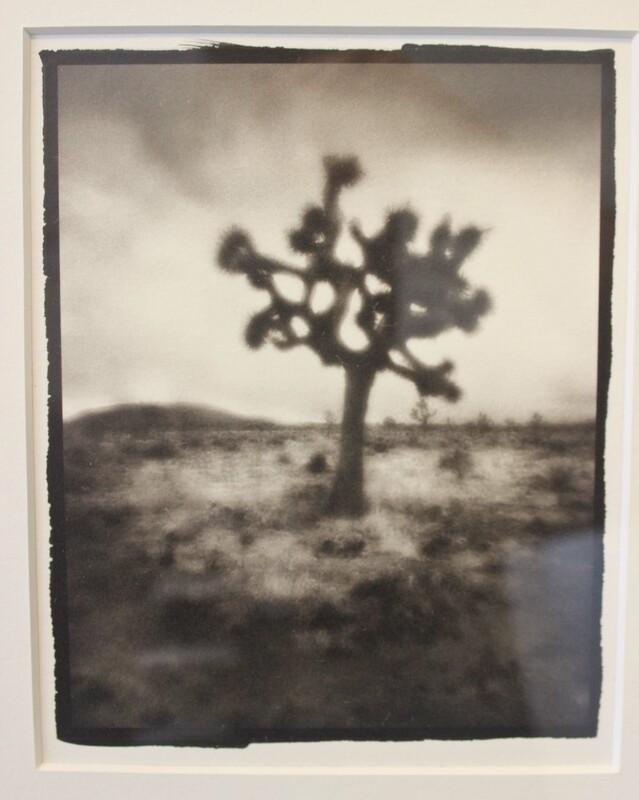 The standings of Joshua Trees are gestural and stand under a quality of light and sky that almost seems to be influenced by the position of the trees’ branches. The desert environment gives a sense of desolation and standing alone. Highly conceptualized work such as “Marginalism” by Adrian Torkington focuses on unseen connections, as his image is cut up into four small images by a white mat-board. The sky is white and empty and there is no horizon line. The subject matter, an overpass, dissects the openings and as your eyes move to where the roads meet, the connections are hidden in the margins. Another conceptual portfolio involving a tableau or narrative by Salvador Prado plays with our understanding of perspectives, horizons, and orientation. A female traverses through textural landscapes that are familiar, but also alien, due to the color manipulations and placement of the character. The girl’s positions might suggest a search or exploration, isolation and introspection, and seeing through different lenses. 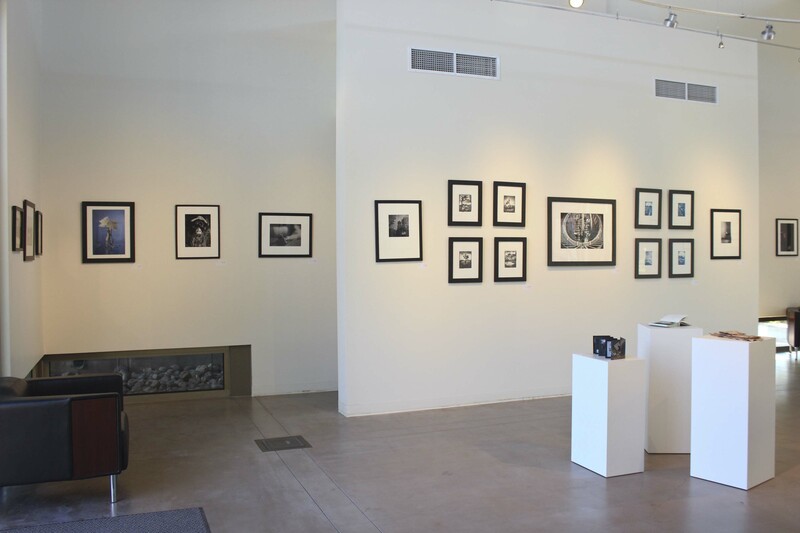 The student photography exhibit from San Diego City College is a great opportunity for our students to see the possibilities for building a portfolio and expose themselves to a wider variety of approaches and techniques. We hope that the exhibit will help students gain a better understanding of how photography might be used within fine arts and design, advertising and marketing, within the humanities and social sciences, and across multiple disciplines. Much of the artwork on display is for sale, and proceeds of every purchase help support the Arts at Parker. The exhibit will be on display until Friday October 21. 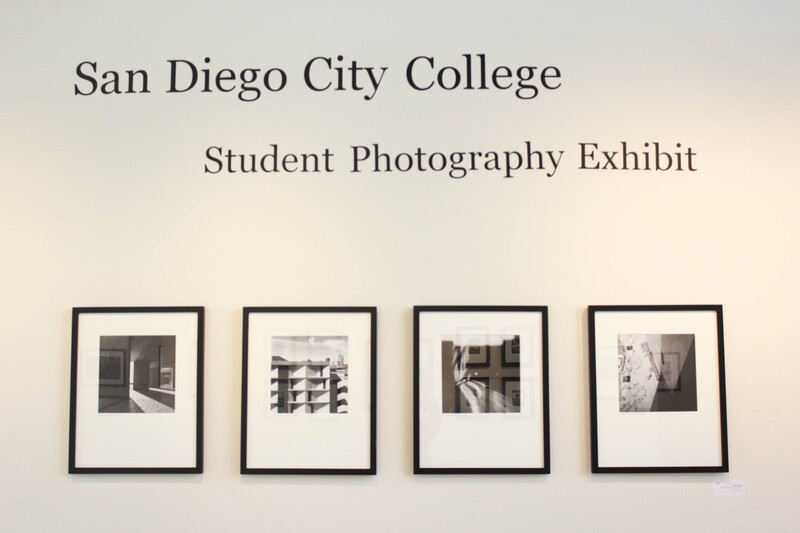 *This exhibit is on loan from San Diego City College’s Photography program. 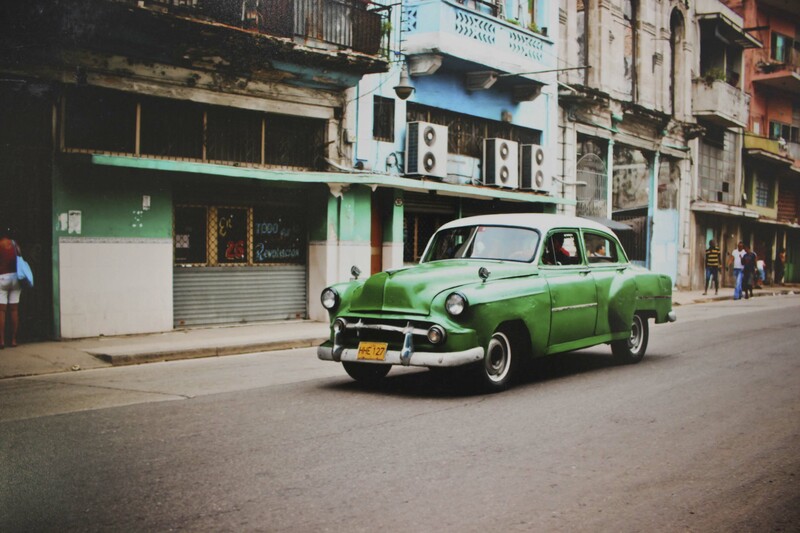 City College annually hosts a juried show of student work. This year’s selection was juried by former student Rebecca and her partner Kevin Joelson who run their own Photography/Cinematography business. *The exhibit was curated by George Tubon, Dave Eichinger, David King, and Adriana Escandon, and installed by Gerson Perez, Hector Valdivia, and Krisnoff Padua. 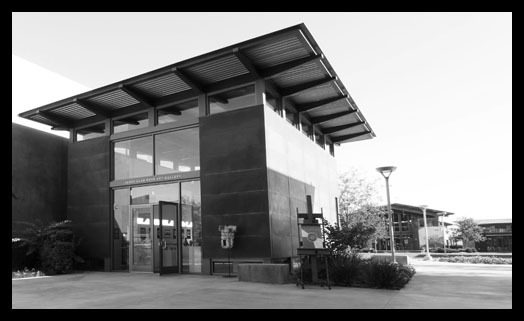 *Learn more about City College’s phenomenal photography program from this short video. This entry was posted in Uncategorized on September 15, 2016 by parkerartdepartment.